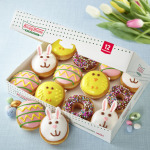 "Spring is a time of renewal and optimism, and these fun, decorative doughnuts will put a warm smile on everyone’s face"
WINSTON-SALEM, N.C.--(BUSINESS WIRE)--Krispy Kreme is hopping into spring with a seasonal doughnut collection to delight fans of all ages. A dozen of Krispy Kreme’s spring doughnuts makes for the perfect addition to any springtime celebration with family and friends. 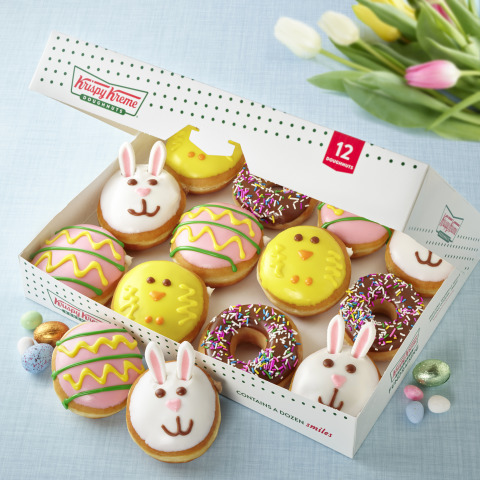 “Spring is a time of renewal and optimism, and these fun, decorative doughnuts will put a warm smile on everyone’s face,” said Dave Skena, Chief Marketing Officer for Krispy Kreme Doughnuts. Don’t forget to share how you celebrate spring with Krispy Kreme’s spring doughnuts by using the hashtag #KrispyKreme and tagging @krispykreme.